Hawthorn (Crataegus): growing, planting, caring. A very good plant, but don't get too close - it stings! The hawthorn is a small common tree that bears sharp thorns, and fruits that feed the birds. The hawthorn is a small tree with deciduous foliage, which measures up to six meters, with a round shape. It fits well in hedges, likes the sun, even in difficult soil. In the spring it is covered with white flowers that turn in the end of the summer into fruits that birds just love. The hawthorn has long spines, so avoid placing it too close to a path; -) Little advice: plant the hawthorn rather in a hedge, because if you have to go around with the clipper, you may quickly get tired of being slashed. Non-thorny cultivars exist, by the way. Keep 80 cm / 3 feet between your hawthorns. Plant in autumn, in any kind of soil, in the sun. Dig a hole twice as large as the root ball and loosen the edges with spade forks. Do not mix the different layers of the soil. Replace the bottom soil and arrange the root ball's height until it's leveled with the ground. Finish filling, tamp with your foot, form a hollow and then water with at least two watering cans. Pruning is not required unless your hawthorn is in a dense hedge. Take good gloves. In autumn or winter, you can prune up to 1/3 of the volume of branches, with a hedge trimmer, or a two handed pruner. Remember to regularly trim the big tired branches to aerate the hedge. 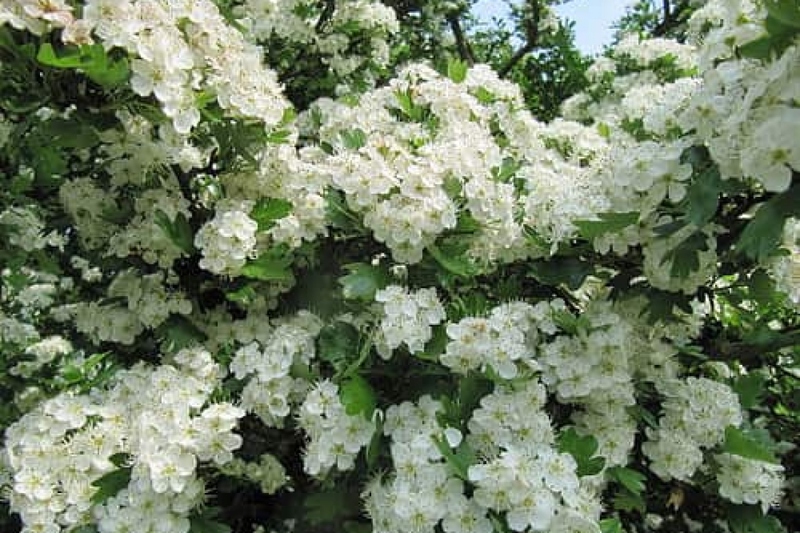 Hawthorn needs watering the first month, only if you plant it in the spring, summer or early fall. In this case bring it two watering cans every week. After one year it should manage itself without watering.